Following today’s shock resignation of the Commissioner of the Companies and Intellectual Property Commission (CIPC), Astrid Ludin, the CIPC is at risk of an institutional collapse. Parliament must urgently intervene in order to prevent this. I have today written to the Chairperson of the Portfolio Committee on Trade and Industry, Joan Fubbs, requesting she summon the Minister of Trade and Industry, Rob Davies, to appear before committee at the next available opportunity. At this appearance, Minister Davies must both table the Gobodo forensic report, and account for the allegations made against him by CIPC Commissioner, Astrid Ludin. The Commissioner today tendered her resignation, effective June 1 2015. This follows a notice of intention to suspend handed to Ludin last week, on the basis of a forensic report by Gobodo Forensics and Investigative Accounting. The report allegedly finds her guilty of contravening the Public Finance Management Act (PFMA), as well as non-compliance with technical procedures and processes. Ludin claims that the Gobodo report gives no substance to the allegations made against her, and that she had no option but to resign as there was a “concentrated effort to remove her from her position” and a “desire to see her exit the position”. Amidst the uncertainty surrounding this issue, the only way for the Minister to provide clarity is for him to account to the Portfolio Committee on the contents of the Gobodo report, and to provide the prima facie evidence on which the initial notice of intention to suspend was based. It should not be left for DA members of the committee to have to file PAIA applications to access documents in order to carry out constitutionally mandated oversight. Minister Davies must be transparent in this regard and play open cards. The CIPC plays a vital role in the registration of companies, business rescue practitioners and corporate names, maintaining data, regulating governance of and disclosure by companies, accrediting dispute resolution agents, and educating and informing about all laws relating to companies. Its institutional reputation cannot be compromised, and any further delay will do just that. 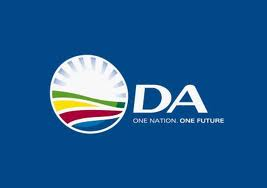 Statement issued by Geordin Hill-Lewis on behalf of DA, Geordin is DA’s Shadow Minister of Trade and Industry.